#AskCesar: Edson Alvarez, Kelly Kapoor and World Cup predictions. In case you didn’t notice, we have officially moved this weekly article to Thursdays. SO, if you want to take part in the next one, be sure to send me your questions on Twitter every Wednesday! I select three for a video preview and then answer the rest here. Let’s see what we have this week. Things have fallen apart for this team since last year. Barring some significant and major transfers over the winter, Los Tiburones Rojos are the favorites to go down. Los Bravos finished second in the league table, and if they don’t win the title this season, they’ll surely be a candidate in the 2018 Clausura. From there, it all depends on that promotion playoff. Because I started an Instagram account for DJ Cuddles and I felt really weird afterwards, stopped posting, and that was basically the extent of my cat’s social media adventures. The first thing for him is guaranteeing a spot in the World Cup roster. At the moment, he has yet to gain the trust of JCO and will need to impress him during any of the friendlies he is called-up for in 2018. That said, even if he does find a way into the World Cup squad, JCO would only use him as a backup or if there is an injury. I doubt he will get first team action in Russia. With youngsters playing fewer minutes in Liga MX, when will we see a substantial number of Mexicans developing in MLS as an alternative? I personally like the idea of young Mexicans without minutes trying out a move to MLS, but the 20/11 Liga MX rule for next year might do plenty to help keep them. Let’s see what the league states will be the minimum amount of minutes that U21 players will need to accumulate. In general though, I am a fan of players without minutes pushing for MLS loans. If Mexico wins the World Cup are you down to get a tattoo of Johny Rico's face wearing a zombrero? I think Johnny would find that really weird so I’ll pass. If Mexico wins the World Cup, I’m going to throw the biggest party/bbq ever and everybody on Liga MX/El Tri twitter is invited. Is @ClubAmerica ‘s scoring problem down to lack of attacking creativity from out of form players, or Herrera’s tactics? You look at that roster and see a squad that needs new attacking players over the winter. 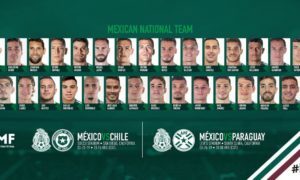 The team needs more than Lainez, Dominguez, Romero and Quintero. Oribe is a fantastic player, but he is about to turn 34 years old and they can’t continue to rely on an aging striker like him. Like I said, the team needs at least one or two new attacking players. Both are most definitely awesome! Arielle was super nice when I met her a couple of years back before a Mexico vs USA game and Jess was a genuine joy to work with when she was still with ESPN. They’re the coolest. In that scenario: Mexico finishes in 1st place of Group A, defeats Peru in the Round of 16 and then loses to Switzerland in the quarterfinals. Does it make sense to you that Mexico and the US have the same number of CONCAChampions spots considering how much better MX has been over the years? Is it fair? Probably not and I would say that a better team ratio would be Mexico (5), USA (3), Canada (1) from the “North America” region instead of the current setup which is Mexico (4), USA (4), Canada (1). However, as a soccer fan, I thoroughly enjoy a battle between any MLS and Liga MX club and don’t mind the idea that Mexico and United States have an equal number of spots. I do also recognize that the Canadian represenstatives tend to be from MLS as well. Which players from the Mexican born Liguilla players should we expect big things from. Not sure if this is a question but it’s an excellent response to my original Kelly Kapoor gif. Oh man, the Tales from the Crypt skeleton guy was the WORST when I was a kid. Little Cesar would bolt out of the room once that creepy intro to the show would start. Edson Alvarez should start in the World Cup right? ? He’s got my vote of confidence. If Layun is pushing high up on the left wing, I like the idea of Alvarez taking charge of the RB role that can make Mexico’s 4-man backline a 3-man backline if needed. I really wish it could be Carlos Salcedo in that position, but I continue to see him as a weak-link in the starting XI. 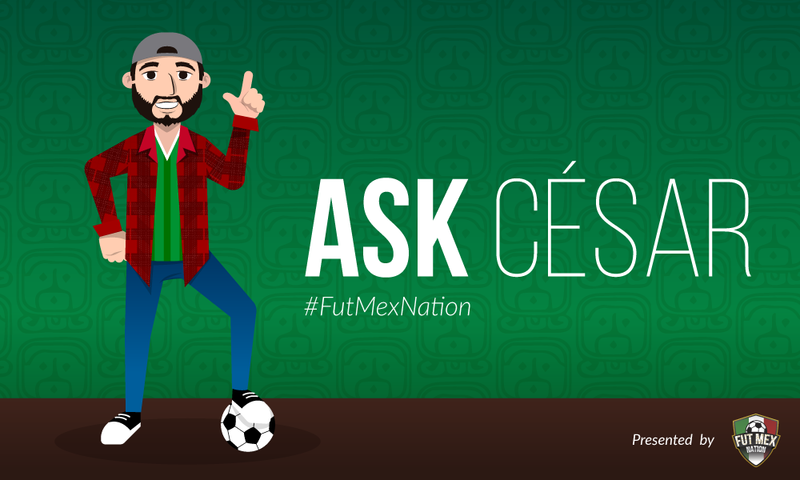 #AskCesar: World Cup draw possibilities, the quinto partido and “Chucky” Lozano.